• What If I'm In An Accident? "Is 'whiplash' injury a real injury?" It certainly is and a very well-documented one at that. Over 50 years ago whiplash injuries were seen in pilots who were launched from aircraft carriers by high power steam catapults. The rapid acceleration literally pulled their bodies out from underneath their heads, injuring their necks. Research shows that same type of injury at work today in whiplash injuries. A whiplash type of injury takes its name from the mechanism that causes it. A sudden impact to the body causes a whipping trauma to the neck and head. Today they are usually seen in auto accidents when one car hits another and the force is transmitted through the body of the car to the car seat and eventually into the person. During the impact, the moving car creates thousands of pounds of force in the blink of an eye. The result is a violent whipping of the spine, or "whiplash." The actual damage is a tearing of muscles and ligaments in the neck, upper back and sometimes lower back. But the most significant area of damage is to the nerves of the spine. 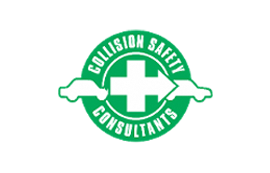 The rapid impact and location of the damage is one reason some of the symptoms do not immediately appear or aren't immediately associated with the accident. The best research says that this injury is serious and takes great skill in evaluation and treatment. If you want to prevent long-term damage, it is imperative that appropriate treatment begins immediately after an accident. But what constitutes appropriate treatment? Relief: use ice to reduce swelling and calm muscle spasm. Correction: restore motion to tight spinal joints. Rehabilitation: strengthening and stretching exercises to improve core stability. Given the stages of recovery, "appropriate" treatment includes the use of ice, therapy, spinal manipulation/adjustments and exercise. Difficult cases may require advanced diagnostics like MRI or CT scan, and a possible referral to family practice physician or appropriate specialist. 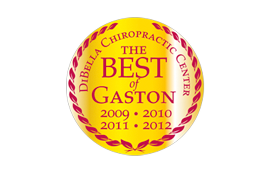 Our office maintains an extensive list of other medical professionals in case a referral is required. 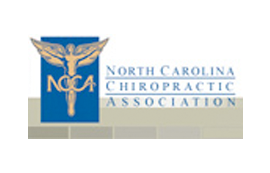 The primary goals of care include pain relief, spine correction, and rehabilitation. However, a very close secondary goal includes early return to work. It is commonly accepted that patients who return to their normal activities as soon as possible recover quicker than those who remain sedentary. As a result, our office works closely and cooperatively with both you and your employer to get you back to work. Most patients are able to return to work without complication, others require a work transition beginning with a few restrictions and limited hours. We will remain diligent in our efforts to restore your life to a pre-accident. If you follow our recommendations concerning home management, keep your appointments, and comply with your initial restrictions, you have a very good chance of returning to work in a very short time. The insurance industry often reduces the value of an accident case based on the erroneous belief that low speed collisions accompanied by minor vehicle damage cannot cause an injury. The question: Is there a correlation between Vehicle Damage and Injury potential? The short answer to this question is: NO. 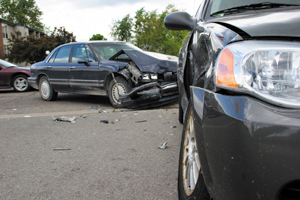 Vehicle damage is not a reliable indicator or predictor of injury potential. To date, there have been no credible studies suggesting that one can predict injury based upon vehicle damage. The entire myth of "No Crash-No Cash" should be abandoned forever as it continues to mislead the public, injured patients, and the courts. The threshold of soft tissue injury is much less than the force required to damage a bumper/vehicle. • There is no relevant science that equates injury potential to vehicle damage. • No accident reconstructionist can predict an individual's INJURY THRESHOLD. • The presence of an injury is best determined by the examining physician and is based on the CORRELATION between history, examination, x-ray and other diagnostic tests. • No MD, DC, DO or other medical professional was ever educated to consult an accident reconstructionist to determine the presence or absence of injury. • Strong research exists correlating RISK FACTORS and injury potential. • Strong research exists demonstrating that chronic pain is often the result of Low Speed Rear Impact Collisions (LOSRIC). • The "6-8 week natural healing time" is a myth that should forever be abandoned. • "No Crash-No Cash" is a concept that should be forever abandoned.